As you know, I never go on a business trip or holiday without researching afternoon tea venues first. 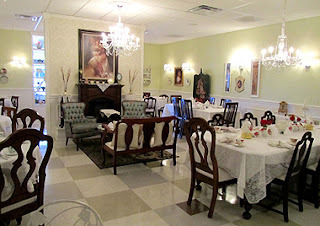 On a recent trip to the San Diego area, I had the pleasure of checking out a new venue, The Grand Tea Room at 145 West Grand Avenue in Escondido. The three of us splurged on The Grand Tea, which included a soup starter in addition to the traditional British-style three-tiered afternoon tea. Usually I don't hold with departures (like soup or salad) from the traditional afternoon tea menu, but I made an exception in this case and was glad I did. That house-made tomato basil soup, served with a Parmesan toast, was extraordinary! The tea was properly made in beautiful 6-cup teapots, one for each of us. (Please don't ever bring me a tea bag and some tepid water in one of those silly little 1- or 2-cup pots; I came here for some tea!) One friend appreciated their having a decaffeinated black tea on the menu, something often lacking. The sandwiches and savory, a zesty little house-made crustless quiche, did not disappoint. The scones were delicious, but the bright pink glaze on their tops struck the only jarring note on the table. The tiny desserts were works of art. With no more serious cause for complaint than that pink glaze, we felt it was a fabulous tea all around! The gift shop at the front of the tea room had a marvelous selection, everything from teapots to fascinators! My small collection of tea hats did not include a single fascinator (even after the Royal Wedding in January), and it was high time something was done about that! No photos yet, but believe me, it is fabulous. I'll be wearing it to the next afternoon tea, wherever that may be. And I expect to cause a sensation! For reservations (not required at all times) or further information, call The Grand Tea Room at 760-233-9500 or visit The Grand Tea Room website. For tea at home, see How to Make a Proper Cup of Tea, Tea and Scones, and my review of the Zojirushi Water Boiler and Warmer. Note: What are your favorite places for afternoon tea? I'm especially interested in tea rooms in the US, UK and Canada; but, wherever you've found a great afternoon tea, I'd love to hear about it! Looking for gift ideas? Good cooks should have good equipment, right? Better than a whole drawer (or block) full of cheap knives that are going to frustrate you every time you use one, three good knives are really all most of us need most days: an 8- or-10-inch chef's knife, a 10-inch bread knife and a 3- to 4-inch paring knife. Start with those, and then gradually add to your collection as needed. I've tried all kinds of paring knives over the years, and what I've learned is this. Give me a blade that is sharp and holds an edge for a long time, thick enough to be sturdy and thin enough to maneuver, short enough for fine work and long enough to be versatile. And, despite what some manufacturers and "experts" might say, a full-tang blade forged from a single piece of steel is a must for me. If you've ever had a paring knife break in two in your hand, as I have, you know what I mean. As important as the blade is, almost more so is the handle. It doesn't matter how perfect the blade is if the handle doesn't feel right in your hand. I've had handles that were too long, too short, too narrow, too wide. One that was specifically designed for comfort is so bulky it's impossible to use. Another handle is so thin and narrow, every time I use it my fingernails dig into my palm. I had been on the hunt for a better paring knife, when the Wusthof Classic 3.5-Inch Paring Knife 4066/9cm was sent to me for review. Wusthof has a range of blade sizes, and this one is just right for me--large enough for any task, but not so large as to be hard to handle. And I love the way the Wusthof Classic handle feels in my hand. 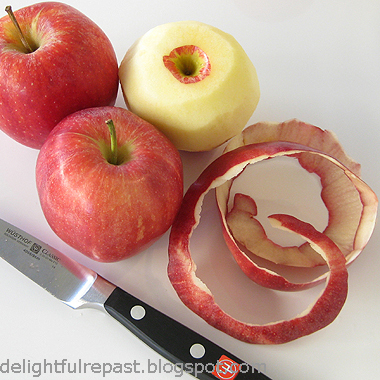 This paring knife is extremely versatile, perfect for: peeling potatoes and apples, coring tomatoes, hulling and slicing strawberries, peeling and dicing shallots and garlic, dicing unpeeled avocado halves, deveining and butterflying shrimp, and making decorative garnishes (citrus crowns, fluted mushroom caps, tomato roses, radish flowers, strawberry fans). Note: See my chef's knife review, bread knife review and 10 Favorite Kitchen Gadgets post for more gift ideas. One winner will receive a Wusthof Classic 3.5-Inch Paring Knife 4066/9cm from Wusthof. All US residents who leave a comment about knives (one entry per person - and please include your email address in the body of your comment) on this post before 11:59 pm Eastern time Wednesday November 21 will be put into a random drawing. Winner will be announced here in the comments before noon Eastern time on Thursday November 22. If I don't hear back from the winner of the random drawing by 11:59 am Eastern time Sunday November 25, another drawing will be held and a new winner selected from the original entrants (those who commented before the giveaway deadline). Buy It Now This knife is available online at Amazon. 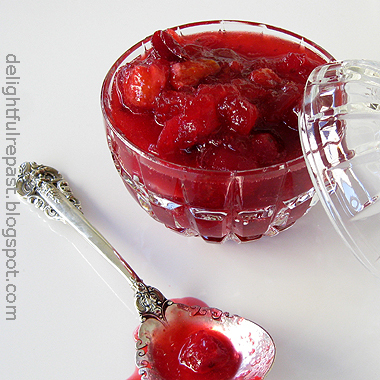 Fresh cranberry sauce is the jewel of the autumn table. Even if it didn't taste better than canned, I'd prefer it just for its beauty. Besides, the canned whole berry sauce contains corn syrup and high fructose corn syrup--so no thanks--and always seems to be full of stems I feel compelled to laboriously pick out by hand. 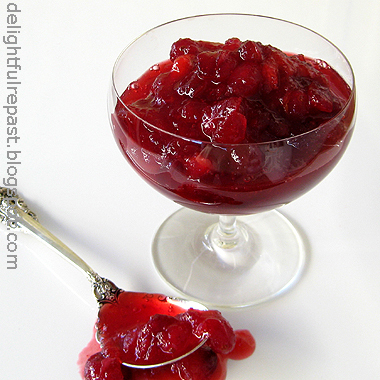 Some people insist they prefer the jiggly jellied cranberry sauce that comes out of the can in one piece and is then sliced (traditionally, with the can lid). I don't think anyone really does think it's better, though. I think it's just one of those nostalgia things, and I of all people understand that. If that's what you grew up with, then that's what you want. So I like to serve both. Another cool thing about homemade cranberry sauce: People who don't make it have this crazy idea that it's a big deal. So you take 15 minutes to make this simple dish with half a dozen ingredients, and people think you're some kind of culinary genius. Gotta love that! Make it really easy on yourself and cook it a day or two ahead. It thickens as it cools. The sauce below was room temperature, and the firmer sauce above was slightly chilled. In 2-quart saucepan, dissolve sugar, salt and mace in water. Bring to boil; add cranberries (I used organic). Return to boil, reduce heat, and simmer for 10 minutes, stirring occasionally. Remove from heat and stir in chopped orange and the juice that came out while you were chopping. Cool completely at room temperature. Chill. Serve in a pretty clear glass bowl. Technically, Swiss steak is round steak that has been put through a meat tenderizing machine or pounded with a tenderizer mallet and then braised in a tomato sauce. So I guess you could say, technically, my Swiss steak is not really Swiss steak at all because I don't tenderize the round steak and there's very little tomato in my recipe. 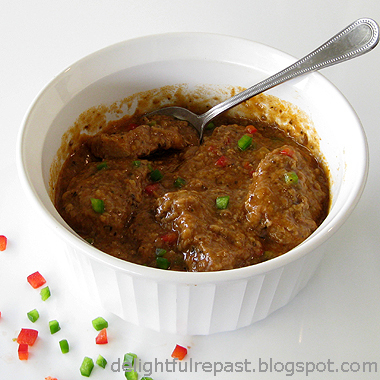 But this is what we called Swiss steak in my family, so I have to go with it. Though the words "comfort food" often conjure up a picture of less-than-healthful eating, I'm pretty careful about what I eat, avoiding foods produced inhumanely, unsustainably, unethically, or with GMOs (genetically modified organisms), hormones, antibiotics, pesticides, herbicides, fungicides or any other "-cides." I look for non-CAFO (concentrated animal feeding operation), pastured or grass-fed and grass-finished meats; and if they are also certified organic, that's even better. This recipe always tasted good, but never better than this batch, made with 6 eye of round steaks kindly sent to me by Rocky Mountain Organic Meats, a great company you've read about here before, one that meets and even exceeds my requirements. And they are going to ship 6 eye of round steaks to one of my readers! See bottom of the post for giveaway details. 1 Cut beef into serving pieces; pat dry with paper towels. 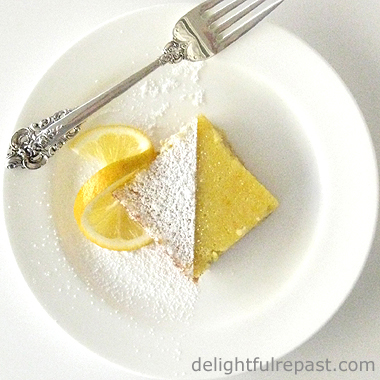 Using up to 4 tablespoons of the flour, lightly flour one side only. If you have a 12-inch slope-sided skillet, brown the meat in 3 batches. If you have a 12-inch straight-sided skillet, brown the meat in 2 batches. In large skillet, heat 1 or 2 tablespoons of the oil. Add first batch of the meat to the pan, floured side down first, season with salt and pepper and brown very well on both sides. Put browned meat in Dutch oven. Repeat once or twice, depending on pan size. It's important not to put too much meat in the pan at once; crowding prevents proper browning. 2 Preheat oven to 300 degrees. Add 1 tablespoon of oil to the skillet, and sauté onion about 10 minutes until lightly browned. Add 2 1/2 cups water, ketchup, Worcestershire sauce, marjoram and crushed red pepper flakes to skillet; heat to boiling and pour over beef in Dutch oven. Heat to boiling, reduce heat, cover Dutch oven with lid and place in oven to cook for 2 1/2 hours at 300 degrees. 3 Move Dutch oven to stovetop. In jar, shake 2 tablespoons flour and 1/2 cup water until smooth. Stir flour mixture into gravy, cooking for about 5 minutes until thickened. Can be made ahead up to this point. If serving next day, let it cool, and refrigerate until 2 hours before serving time; stir in diced bell pepper and reheat slowly for 1 to 1 1/2 hours. For same-day serving, stir in diced bell pepper and continue cooking in oven at 300 degrees for 1 to 1 1/2 hours. 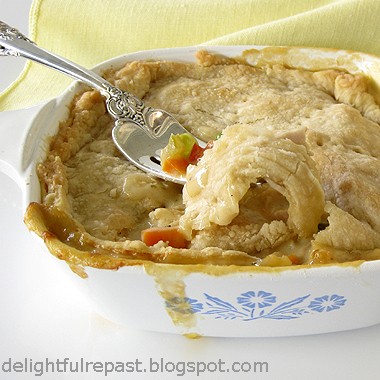 Note: Naturally, you'll want to serve this with Perfect Mashed Potatoes! Another Note: You could also make out-of-this-world Chicken Fried Steak with these beautiful steaks! One winner will receive 6 grass-fed organic beef eye of round steaks from Rocky Mountain Organic Meats. (Though the steaks are labeled as 8 ounces, which would total 3 pounds, they actually totaled nearly 4 pounds!) All continental US residents who leave a comment (one entry per person - and please include your email address in the body of your comment) on this post before 11:59 pm Eastern time Wednesday November 7 will be put into a random drawing. Winner will be announced here in the comments before noon Eastern time on Thursday November 8. If I don't hear back from the winner of the random drawing by 11:59 am Eastern time Sunday November 11, another drawing will be held and a new winner selected from the original entrants (those who commented before the giveaway deadline).